The next stop on our adventure was Toronto. We found our accommodation which was perfectly adequate and in the centre of the city. If you like, use this link to sign up to Air B&B and we’ll both get $25 in credit toward our next trip! 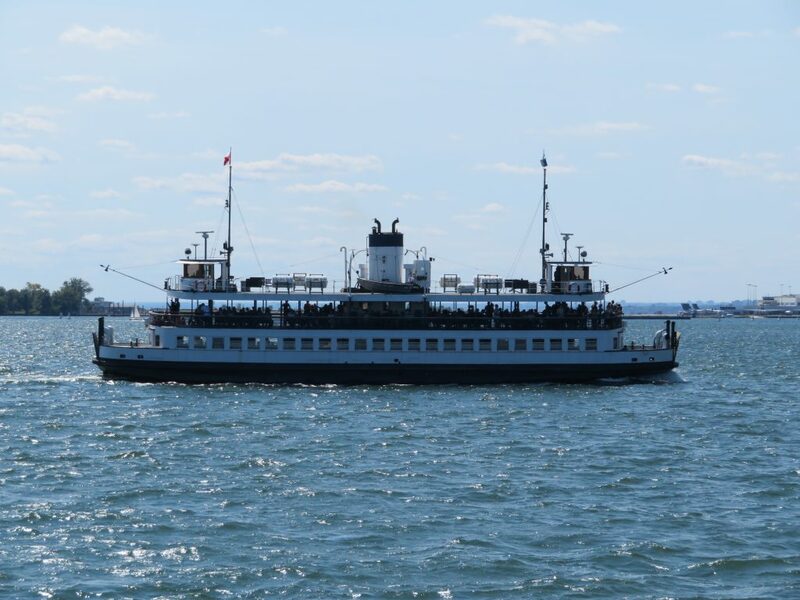 We then caught the ferry over to Toronto Island which cost $7.50 for adults and $3.65 for children under 14. The island was lovely. It’s about 5km long, full of gardens, parks and a boardwalk. There’s also a children’s amusement park, a maze and a pier. We just wandered around, enjoying the sunshine. 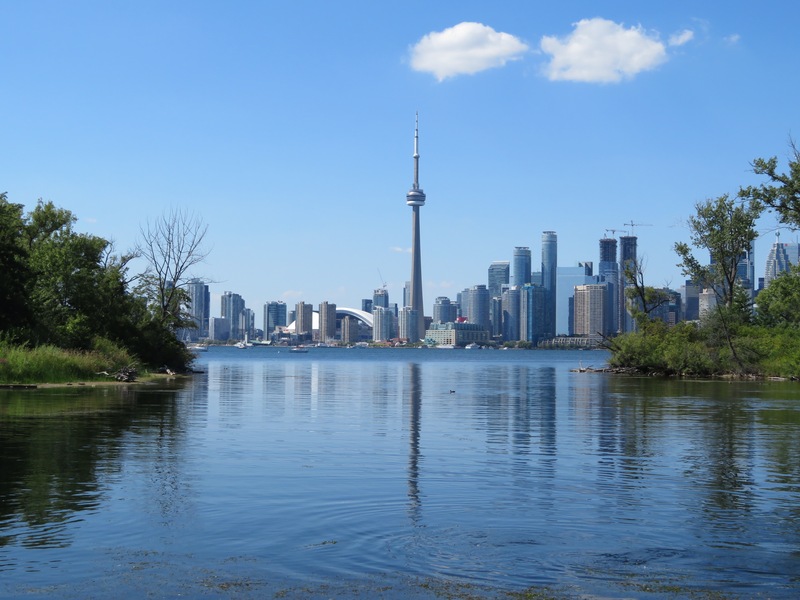 Our view of Toronto from Toronto Island. The next day, we had every intention of doing the City Sightseeing Toronto hop-on-hop-off bus tour. However, after waiting for over an hour after the scheduled pick up time, which included calling the company and being told we had at least another forty five minute wait, we decided to give it a miss. 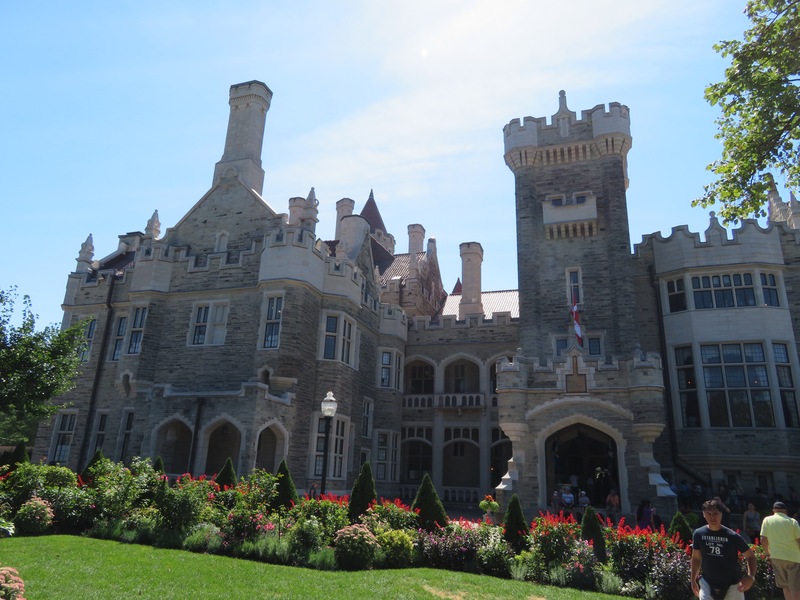 We took a cab to Casa Loma, a castle in the middle of Toronto. 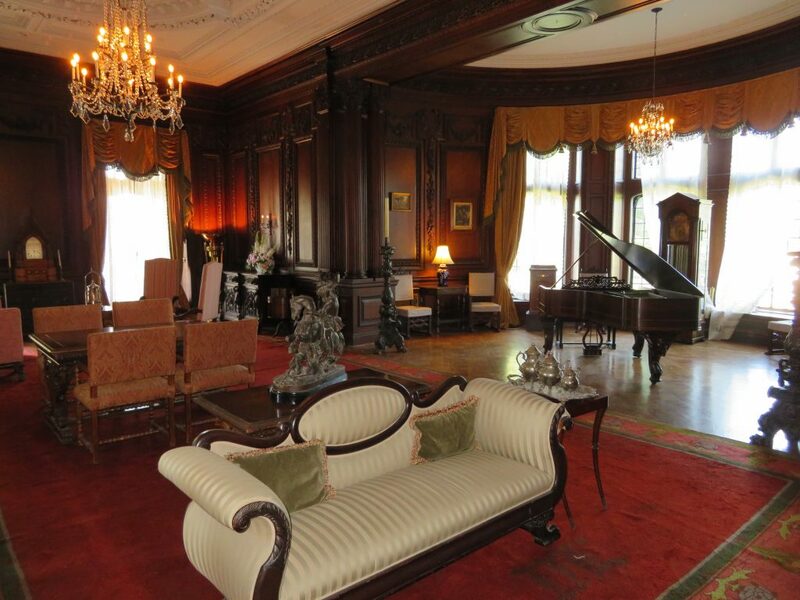 It was very impressive, with beautiful rooms, furniture and gardens. It had a great deal of history and we spent a few hours wandering around. Entry was a bit expensive, adults were $25 and children under 14 were $15. You get your own audio tour device, and it’s all self guided. We highly recommend a visit. One of the beautiful rooms in Casa Loma. Next we took the subway back into the city and walked over to the Distillery district. There were a lot of very funky shops and great places to eat (and drink). We had lunch at the Mill St. Brewery and it was delicious. We then took a cable car into the city. Our cable car driver was incredibly nice; he was the quintessential Canadian. Eh! 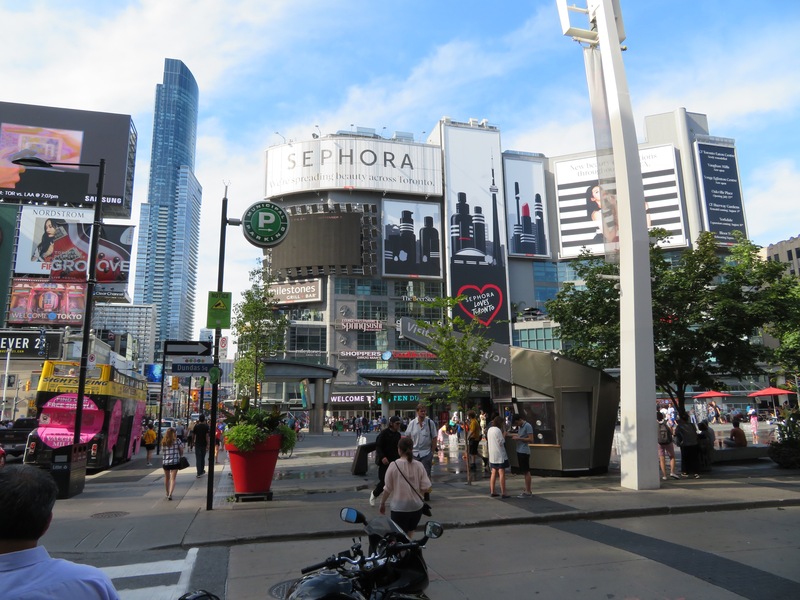 We split up from our travelling companions and Poopsie and I headed down to Yonge-Dundas Square, nicknamed Toronto’s Times Square. Me crossing the street in Toronto’s Times Square. 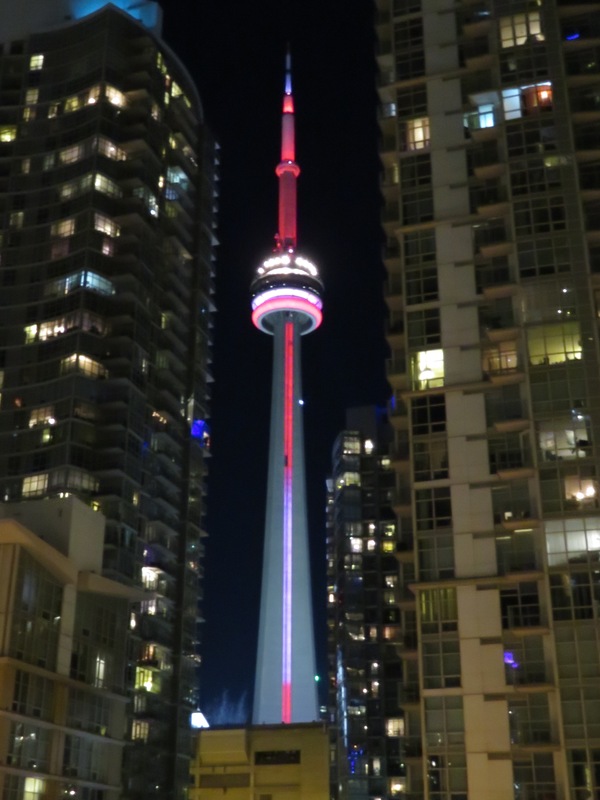 But, as we wandered around while it was starting to get dark, we stumbled across the CN Tower again, but this time it was lit up. Silver linings. 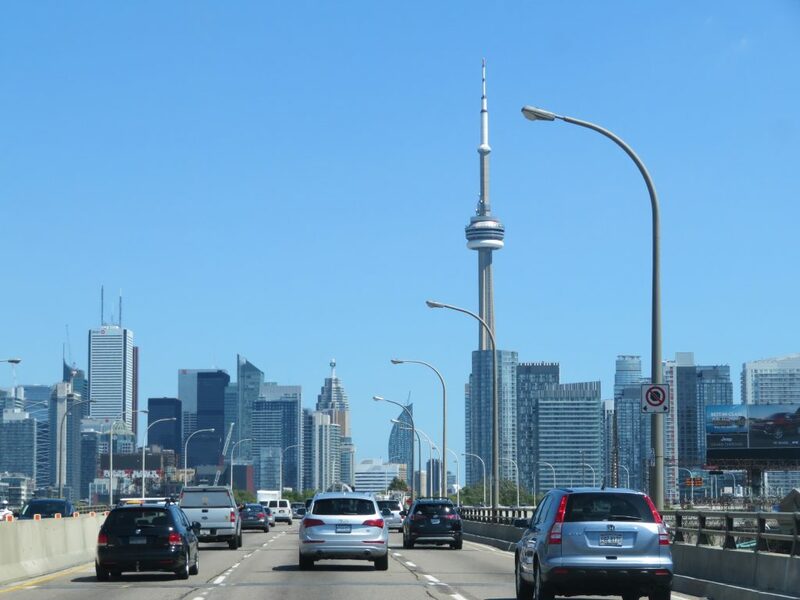 Have you ever been to Toronto? What did you think? * All prices listed are in Canadian dollars. What a lovely recap of my city! I’m so glad you had a great time, and happy you fit in a visit to the island – it really is a pretty little oasis from city life! Great photos too, btw! Thanks! I am very glad you feel we did your city justice. I mentioned to Poopsie that Frugal Desperado was from Toronto so we had to make it a good post!! It most definitely was a fantastic post – mission accomplished! The flight is definitely the biggest killer. Everywhere is so far from Australia! One day when we’re living overseas, I hope it will be much easier to travel! Looks like the trip there was awesome! The ferry looks really cool, Casa Loma looks really nice – I love castles. 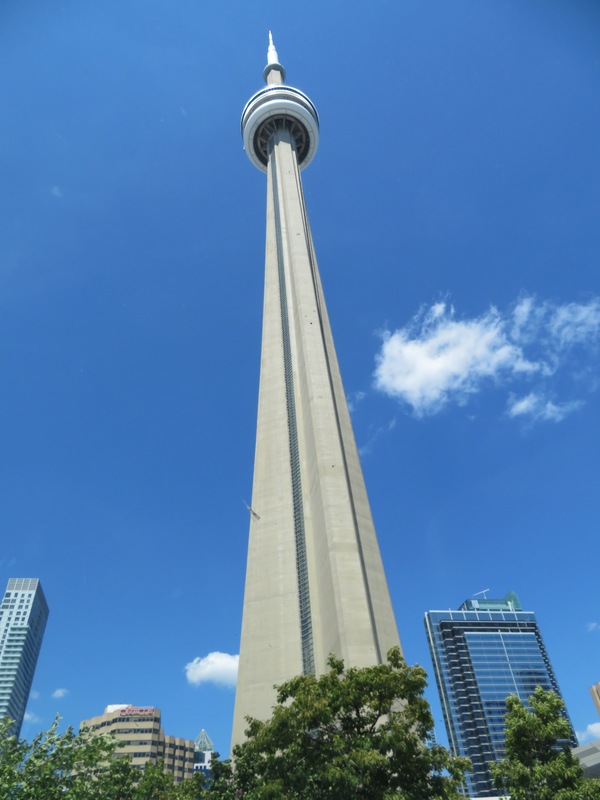 The CN tower looks amazing. I’ve never been to Canada, I can’t wait to go there! Definitely recommend you get there when you can, Tristan! Thanks for the comment Mrs ETT. I would say Canada reminded us a lot more of Australia. In America, we definitely felt like we were in another country but with Canada, we could have been walking down a street in Sydney. I definitely recommend you get over there when you get the chance!